Yury is the Head of Security Innovation Labs of Alibaba Cloud, the fastest growing public cloud, approaching $1B in quarterly revenue, with 56 availability zones in 19 regions worldwide. Yury’s team applies AI to cybersecurity problems at the cloud scale, focusing on finding zero-day attacks and “unknown unknowns”. Before Alibaba Cloud, he worked at Akamai and Nominum, where he led data science and security, and before that he worked in the consulting company he founded in 1999. At Nominum, a DNS pioneer that processed a third of DNS queries worldwide, he transformed the infrastructure company into a cybersecurity company that led to its acquisition by Akamai, by building novel security products sold to largest telecommunication companies in the US, Europe, Latin America and Asia-Pacific. Yury filed multiple patents for DNS security, data processing, and autonomous vehicle navigation. 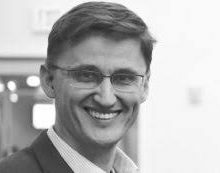 Yuriy often speaks at events about security landscape in China and worldwide, and co-authored multiple security reports, at Alibaba Cloud and before at Akamai and Nominum. Yury received his Master’s in Computer Science from Samara State Aerospace University, and MBA from Washington University in Saint Louis.